A classic workhorse. 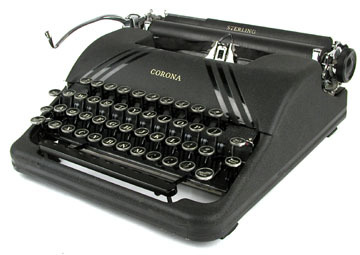 Replacing the early Corona line of 1930s that included the Standard, Sterling and Silent, the new model sports a streamlined design billed as Speedline in matte finish (some also available in glossy maroon and black finish). The Sterling and Silent models were essentially identical in appearance and mechanism except that the Silent model had a interchangeable platen and sound proofing feature. The Speedline models were well built and appeared to be the choice of many writers and typists for decades.